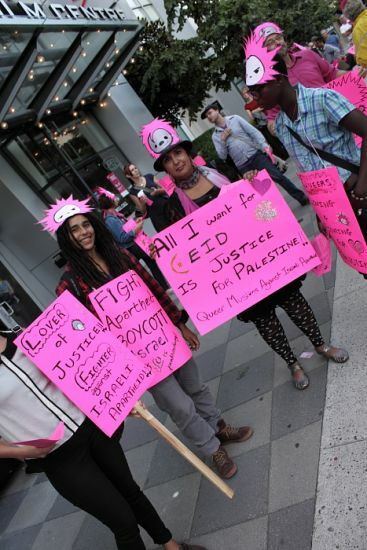 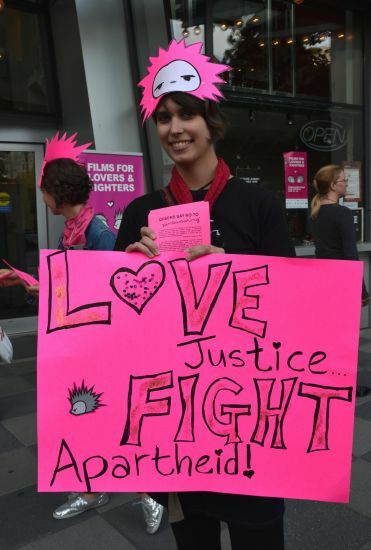 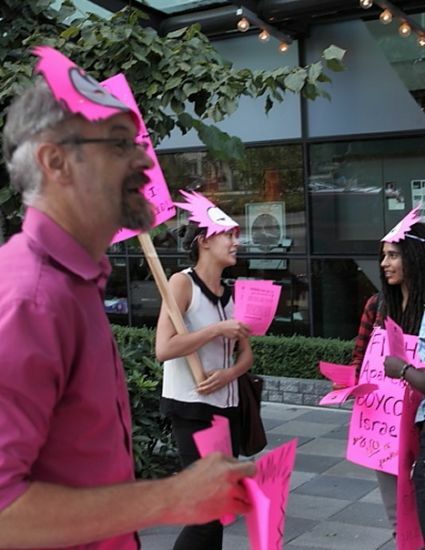 COAST SALISH TERRITORY - Queers Against Israeli Apartheid held an information picket outside the Vancity Cinema in downtown Vancouver tonight. 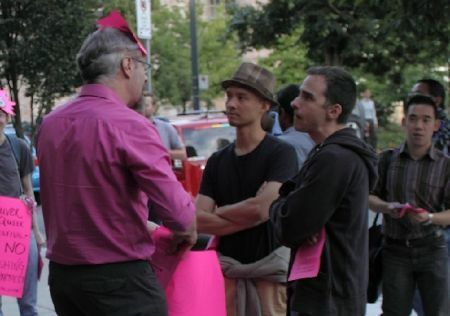 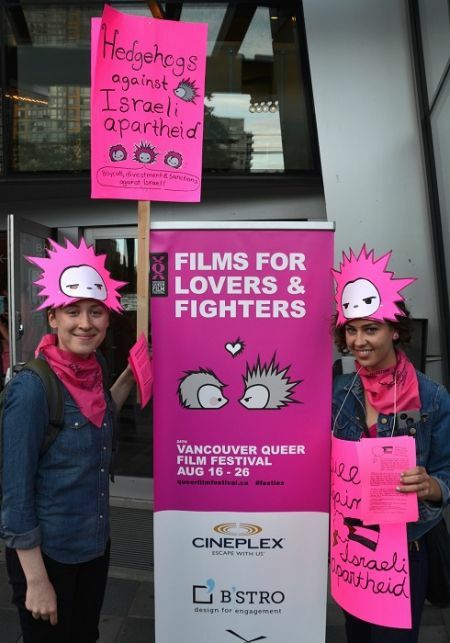 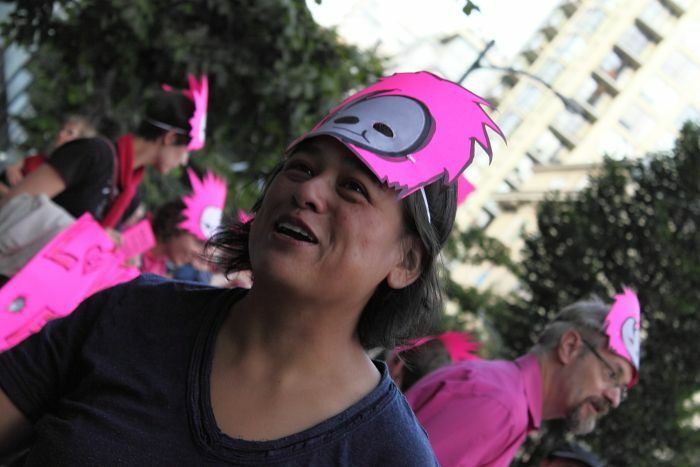 Their target was a showing of the Israeli film Invisible Men from filmmaker Yariv Mozer, part of the Vancouver Queer Film Festival. 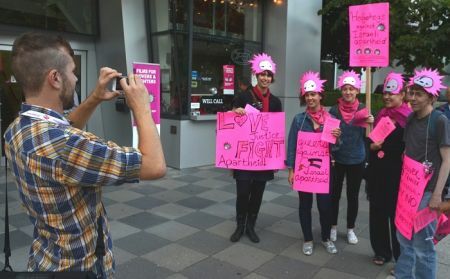 QAIA members say the film is an example of pinkwashing, which they call an attempt "to cultivate an image of Israel as a modern liberal democratic state to obscure its status as an apartheid state engaged in the illegal occupation and settlement of Palestinian land." 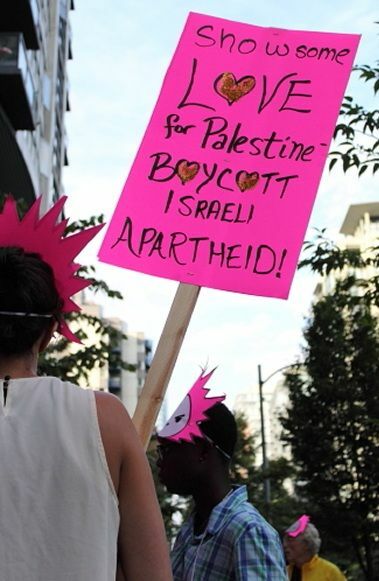 Nice to see some well informed local peoples taking to the streets and engaging the people regarding the violence and apartheid zionists in and outside of Isreal. Thanks for everything Dave! You are awesome!